You can Love and Grow Rich! Yes, you can love your way to ALL of life's riches...FAST! Discover how to follow your passion, follow your bliss, do what you love...AND... how you can quickly find passion in what you are doing now! Learn the powerful trademarked process, How to love the BLANK you hate (whether it's your job, co-workers, your spouse, a sibling, etc.) An entertaining and practical book, filled with interactive exercises and resources to help you master the Love and Grow Rich Philosophy. 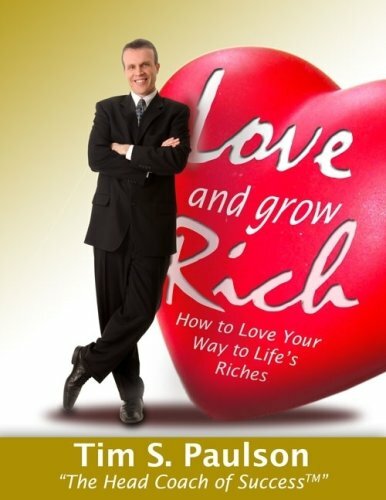 You can LOVE AND GROW RICH with this powerful new book, and The Head Coach of Success, Tim Paulson's timely writings.